Sharon Polyak is a citizen of Israel, and has been a member of the West-Eastern Divan Orchestra since 2003. He was born and grew up in Israel. He plays the horn in the Israel Symphony Orchestra, which is the orchestra in residence of the Israeli Opera. He has studied in Berlin and also played with Staatskapelle Berlin. Sharon Polyak, you have played Wagner's music and want the West-Eastern Divan Orchestra to play Wagner. But can you understand that people who have experienced Holocaust find Wagner's music repulsive? It is very interesting for me to answer these questions today, because in two days it is the Holocaust Memorial Day in Israel. Richard Wagner is a very problematic figure in Israel. Wagner wrote a very infamous article called "Judaism in music", attacking Jews in general and the composers Meyerbeer and Mendelssohn. Many people see a connection between Wagner and the Nazis, and do not want to listen to his music. Some people say that we need to wait until there are no Holocaust survivors left before we can play Wagner in Israel. Wagner's amazing music has a lot to tell the Israeli public, who is known to like classical music and understands it very well. I do agree that we need to wait for people to start accepting Wagner, and that we can't force this. 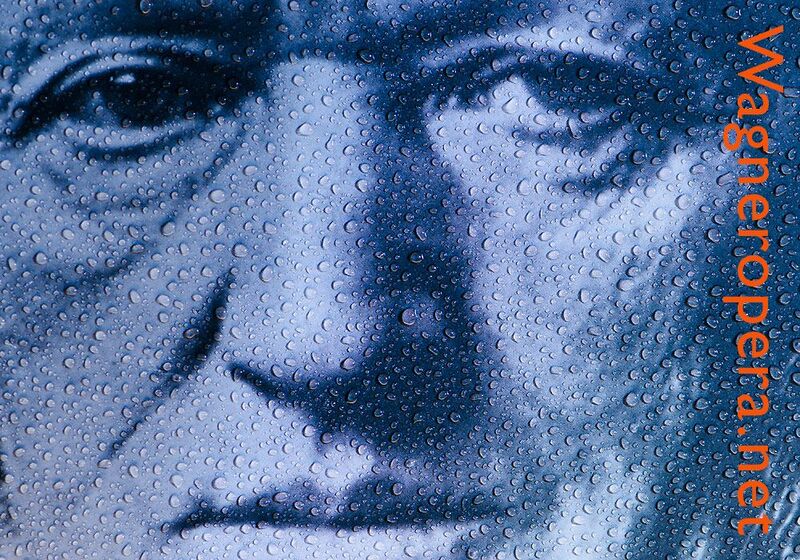 Wagner was known to be anti-Semitic, anti-Jewish, and that the Nazis used him shows that. Would you be able to play in the Bayreuth Festival Orchestra remembering that Hitler used the Festival as a PR show for his Nazi politics? I do not think that because of Wagner himself as a person and the way that the Nazis used him, I can not play or listen to his music. Between 2005 and 2007 I studied in Berlin and in addition I have played at the Staatsoper Berlin, Maestro Barenboims opera. I have played Tristan und Isolde and Tannhäuser, among other operas, and it was a great privilege and very important for me to play this music. Have you ever attended the Bayreuth Festival? I was in Bayreuth in 2002 and I saw all the operas that were produced that year: Der Ring des Nibelungen, Tannhäuser, Lohengrin and Die Meistersinger von Nürnberg. It was very interesting. I really like Richard Wagner's music. What did you think of the acoustics in Bayreuth? The acoustics in Bayreuth are amazing. The wooden hall and special orchestra sound that comes directly from the stage with the singers makes the sound very special. What is your favourite Wagner opera? 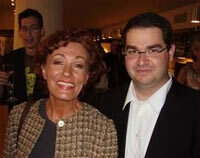 My favourite Wagner opera is Tristan und Isolde. I think that the music there is the most beautiful, and also the story. It is also a very important opera in the music history because of its harmonics. What is your favourite horn passage in Wagner? My favourite horn passage is the horn call from Siegfried. It is a long, very hard passage that is played high above the stage. When I visited Bayreuth several years ago, I saw the exact place that Wagner wanted this call to be played. It was very interesting to see this. What do you think of Wagner's way of treating the horn in his compositions? 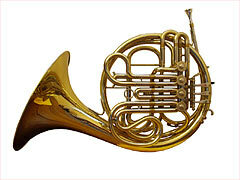 We can see from Wagner's writing that he really liked the horn, he wrote very beautiful passages for the instrument, and also developed the Wagner tuba, that is a development of the horn. Wagner wanted to develop a new instrument from the horn, and he created a very special sound by developing the Wagner tuba. Tell me, what makes the horn so difficult to play? What is the bell of the horn? The bell is the big round part at the end of the horn. Its shape looks like a bell. This part of the instrument is like a microphone. It makes the sound louder and bigger. Is the fact that the horns points away from the audience something you - or the conductor - must take into consideration? The fact that the horn points away from the audience and the conductor makes the special sound of the horn. It is not a direct sound such as the trumpet. How did you begin playing in the West-Eastern Divan Orchestra? I heard about the West-Eastern Divan Orchestra from friends playing in it and from announcements for auditions to it. I was happy to be accepted, and have been playing there since 2003. In the last 3 years I have played solo in the Mozart sinfonia concertante for oboe, clarinet, horn and bassoon with this orchestra and Maestro Barenboim. When did the West-Eastern Divan Orchestra start playing Wagner? We started playing Wagner in 2005, when a group of players, including myself, asked Maestro Barenboim to play a Wagner piece in our program. We played the Prelude and Liebestod from Tristan with Waltraud Meier, and after a vote in the orchestra we've decided to play it as an encore in our upcoming tour. Since that we have been playing it every year. There were some people that did not want to play this music, especially musicians whose grandparents are Holocaust survivors. But we had a democratic vote, and they've accepted it. 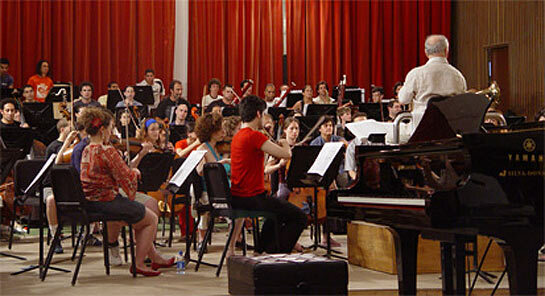 The West-Eastern Divan Orchestra unites Israelis and Palestinians and promotes understanding between the parts of the Middle East conflict. Do you see any other signs of Israelis and Palestinians uniting? There are some other activities that are going on between the too people, for example different kinds of activities connected to art such as writing and painting. There are also people that are not politicians that talk to each other. How can the Palestinians and the Israelis stop viewing each other as enemies? I think that our orchestra is a very good example of how to communicate through other means, and get along very good. And as I have already said, there are some more groups that are communicating in different ways. I think that this is a good start. We need to start talking between ourselves, and not between politicians. I think that this is the way. How would you describe Daniel Barenboim as a conductor? Maestro Barenboim is an amazing musician and it is a great privilege to play with him. His natural musicality makes every concert to a brand new and interesting adventure.